I have moved some of my websites to another webhosting since, I can’t make decission, yes, I am bad at making decission! This /cgi-sys/defaultwebpage.cgi redirect error thing happened after I changed my domain’s nameserver from namecheap from old nameserver, to the nameserver. I actually moved this site three times already, terrible I know. So I have moved this site from Host A to B, then from B to A again.. So when I was redirected to this /cgi-sys/defaultwebpage.cgi page, I was not too surprised of the error, because I thought it was my own fault, moving around a website without making a good plan decission. I surely was worried because that site received a decent traffic daily, and of course by displaying that /cgi-sys/defaultwebpage.cgi page, I was worried about the income! I am sure you would feel the same too if it happens to your site suddenly. The only thing I felt a bit better, because the moving process. 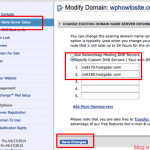 It may be possible to restore access to this site by following these instructions for clearning your dns cache. There has been a server misconfiguration.. The error page looked like. In fact, I have seen almost similar message on websites I have visited. 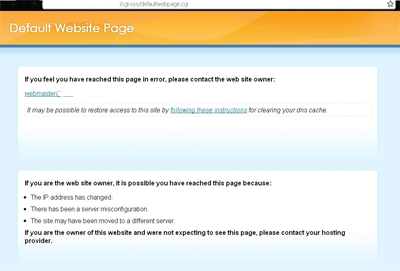 However I noticed one big difference between my error message to the /cgi-sys/suspendedpage.cgi message on a website. The difference is on the reason why we are redirected to that page. If you have a /cgi-sys/suspendedpage.cgi error, this means, there is something with the website’s content or payment to the webhosting service. If your website is suspended, it can be caused by various reasons, it may be, not paying the bill, content or ToS violations, or even CPU overloaded, this thing I don’t really understand, but a lot of things can cause why your website or blog is suspended by the host. The point is, /cgi-sys/defaultwebpage.cgi is not /cgi-sys/suspendedpage.cgi. 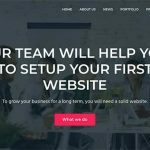 The cgi-sys/defaultwebpage.cgi error is different, and there is nothing to do with your website’s content, also stated in the error message on the page as I wrote in the first paragraph in this post above. There are many websites and forums, that show people have actually similar cgi-sys/defaultwebpage.cgi problems to mine above. At least, I was not the only one, so I thought while continue to search some similar threads or blog posts. So I did flush my DNS to clear cache, and went back typing my domain, I am still redirected to the cgi-sys/defaultwebpage.cgi error page. Finally, after a few hours, can’t tell how many hours exactly, but it was around two hours or more, my website is back again. Conclusion? sometimes we just have to wait. In my case, it needed a few hours to update the new nameservers I gave to my domain in Namecheap, until the /cgi-sys/defaultwebpage.cgi is solved itself. 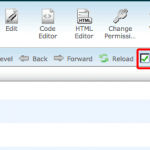 ← Install.php WordPress File Should I delete it?